Born and based in Ishinomaki Miyagi. 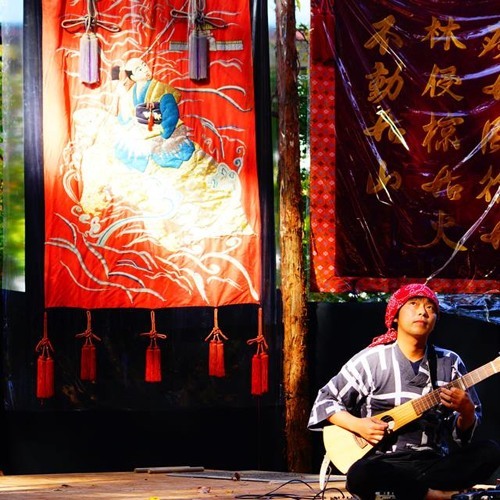 Mainly play the guitar, wadaiko(Japanese Traditional drum), Shinobue(Japanese Traditional flute) Has actively had improvisation sessions and live performances with any kind of artists like butoh dancer, painter, media artist and musician. Exploring for how Japanese folk performance art with sounds. Joined unit or group: Coupie, Jai Machine, ORB, nayuta. rayoti, Preservation society of Ogatsu Dateno Kurofune Taiko, and more.